Amino AcidsFA Nutrition Xtreme Amino 5400 - 400 tabl. FA Nutrition Xtreme Amino 5400 - 400 tabl. The new formula sensational product based on the highest quality amino acids derived from whey and whey protein concentrate. In addition, the composition enriched with the addition of free form amino acids so that the body has easy access to the building blocks already shortly after ingestion. The new, even more effective formula! 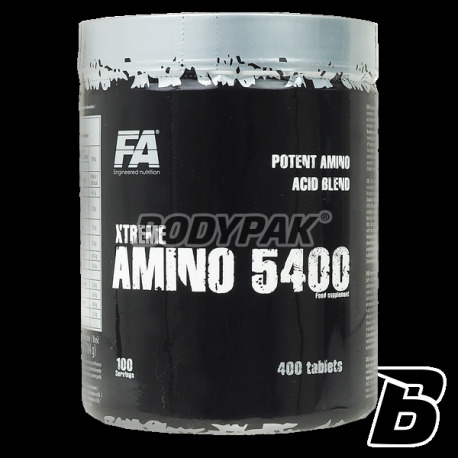 FA Xtreme Amino 5400 is a comprehensive and highly effective formula of amino acid available in a new, more effective form! The best combination of amino acids delivered from concentrate, isolate and whey protein hydrolyzate. 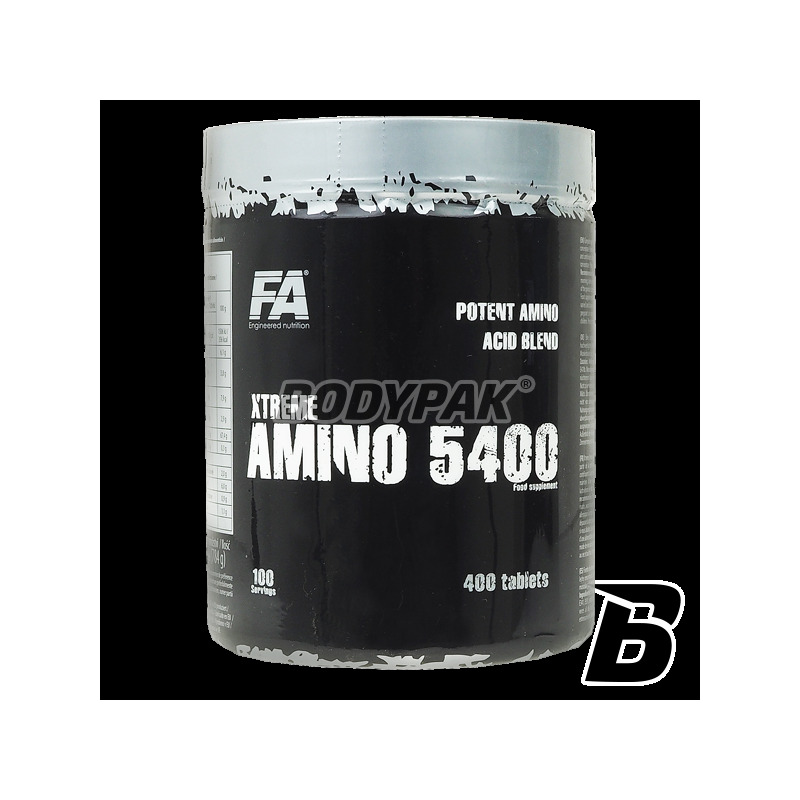 FA Xtreme Amino 5400 is an excellent source of amino acids derived from the highest quality concentrate, isolate and whey protein hydrolyzate. This unique formula provides all the essential amino acids including the valuable BCAA and glutamine. Consuming Xtreme Amino 5400 protects the body's positive nitrogen balance after each training session which promotes anabolic processes. Xtreme Amino 5400 inhibits catabolism of muscle tissue, stimulates protein synthesis and speeds up recovery post-workout so you increase lean muscle mass is much more efficient. Convenient form of tablets allows efficient delivery of amino acids before, during and after the completion of training, which ensures that you meet your goals will be easier than ever before! Convenience and efficiency - FA Xtreme Amino 5400. 3-4 times a day for 3 tab. 3 times a day for 3 tab. Składniki: koncentrat białek mleka (z mleka), substancje przeciwzbrylające: E341 i E551 (fosforan wapnia i dwutlenek krzemu), stabilizator E470b (stearynian magnezu). Suplement zasługuje na 5 gwiazdek, ponieważ bardzo skutecznie uzupełnia braki aminokwasów w diecie. Dodatkowo jest w bardzo dobrej cenie i jedno opakowanie starcza na dość długi okres czasu.